Tom Wolfe's Bronx was a crime-ridden place of despair. Alvin finds out if it is still the site of moral and physical desolation. Tom Wolfe described 1980s Bronx as a crime-ridden place of despair. Crack dealers on every corner, horrifying crimes every day, and a justice system which could do little to improve it. Harlem's revitalised, and New York is renowned for its safety- is the Bronx now a great place to live? 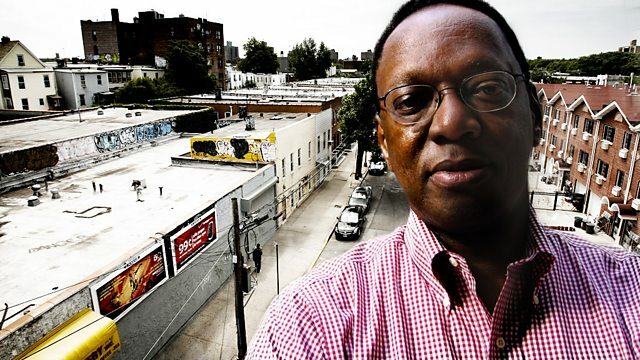 Alvin Hall visits the site of Sherman McCoy's disastrous wrong turn and ventures further into the borough to where whole streets' worth of apartment buildings were burnt out 25 years ago, to discover what's replaced them. Speaking to a local priest, photographer and environmental activist, he asks whether a Sherman McCoy today would feel as threatened if he took the wrong lane on the route back to Manhattan from JFK Airport.